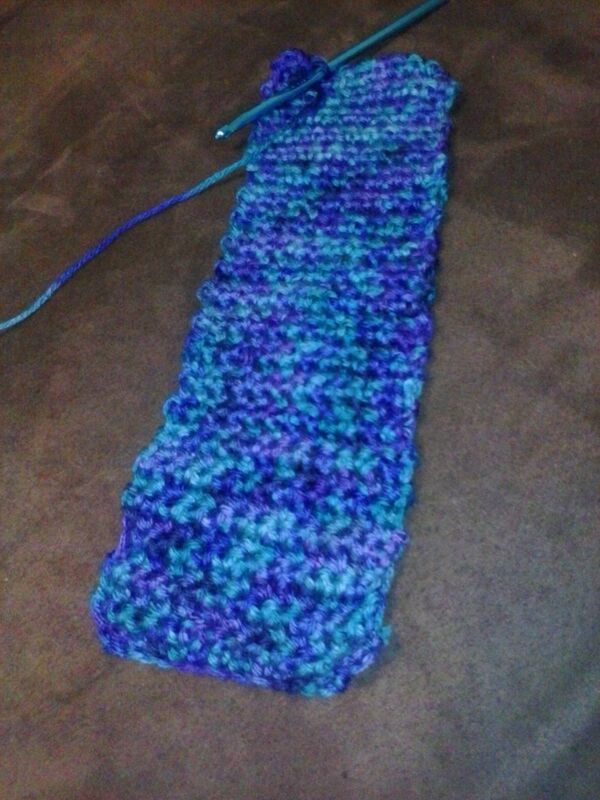 I am so happy that this scarf is completed. I finished it yesterday in about an hour! 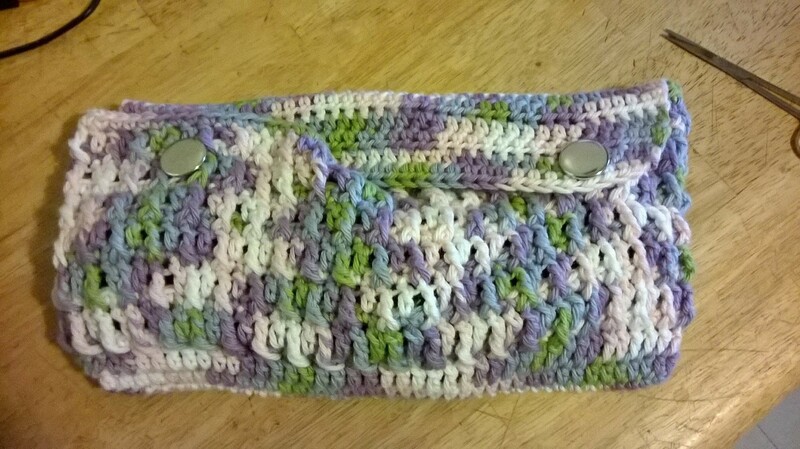 This is my first venture in using bulky yarn. 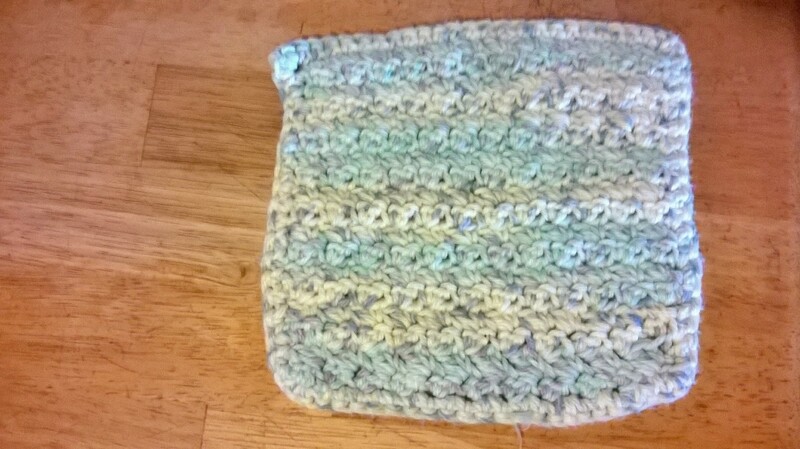 I like the tweed look of this yarn and it is working up quickly. At a standstill as I need to get a tapestry needle. I am planning on doing this later today. 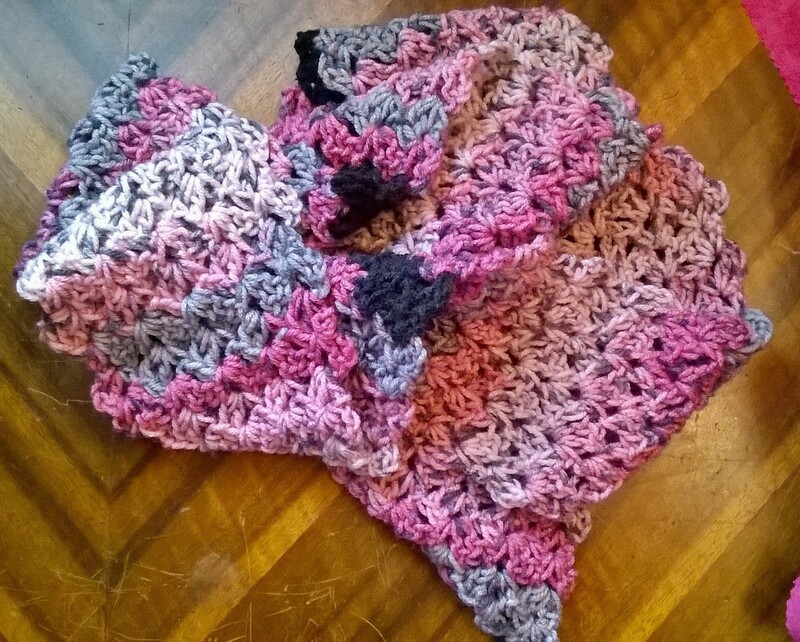 I am so proud of this finished scarf. I completed it while at the park this afternoon. My new phone does not let me upload photos to WordPress that is why there is a link to Instagram!!!! 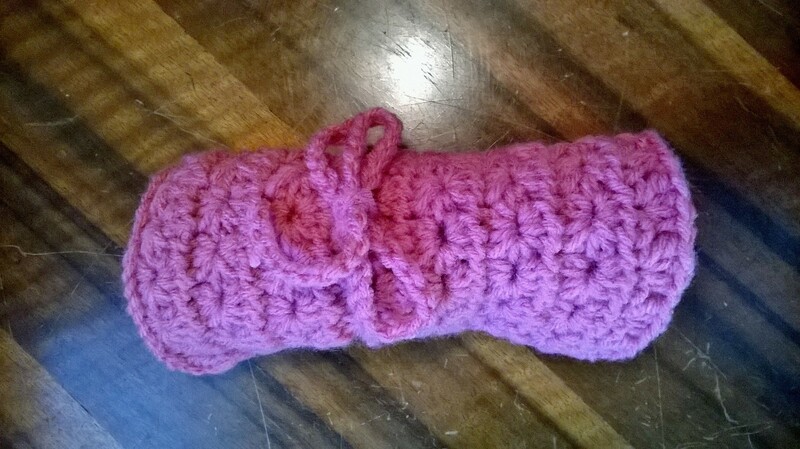 Next up fingerless mittens in the same yarn! Today I received my order from Elann.com. I already know there will be more purchases in the future. 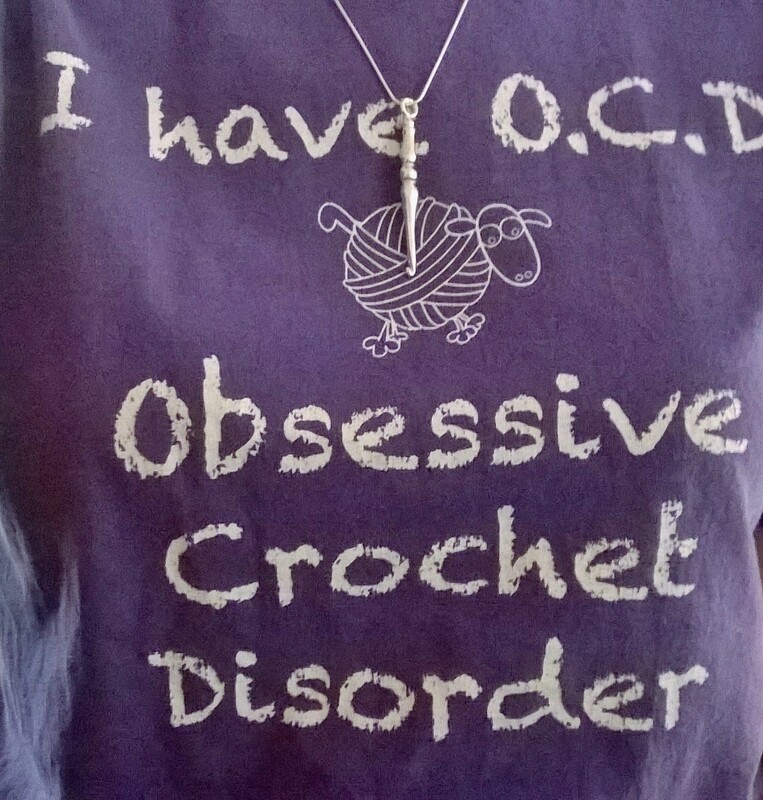 I picked up this fabulous yarn earlier this week at Wal Mart. The colors caught my eye. I was immediately drawn to it. Upon arriving home I noticed that my project bag is composed of similar colors. This bag you may remember was made from the leftover Batik from the Car CD Holder I made for My Love. 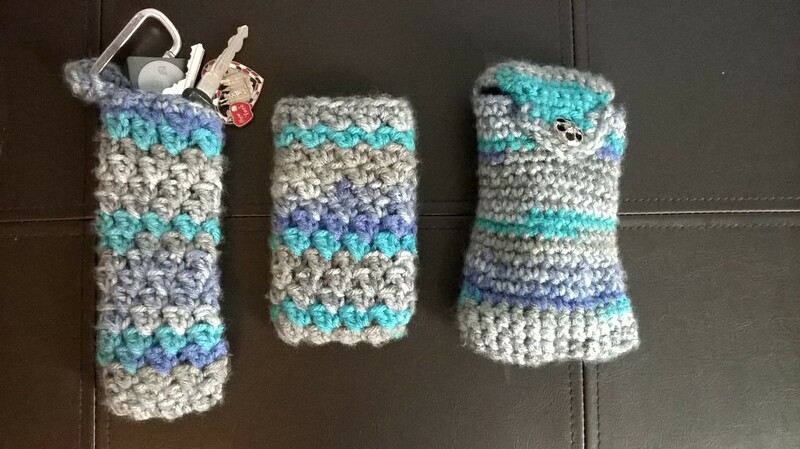 So what to make…oooo how about those fingerless mittens. 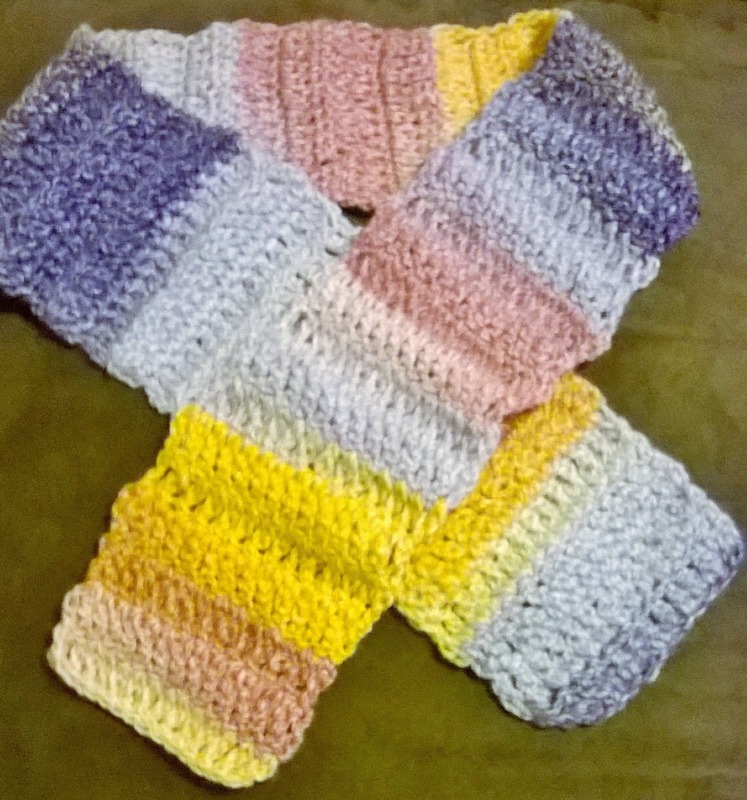 I thought that was a great idea until I realized I really wanted a scarf with these colors. 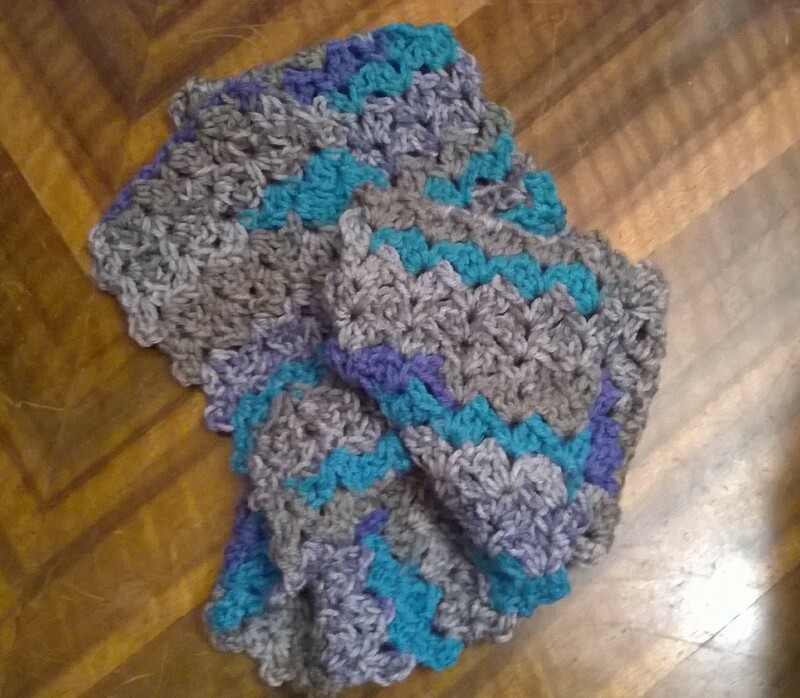 Final decision was a scarf with matching mittens. 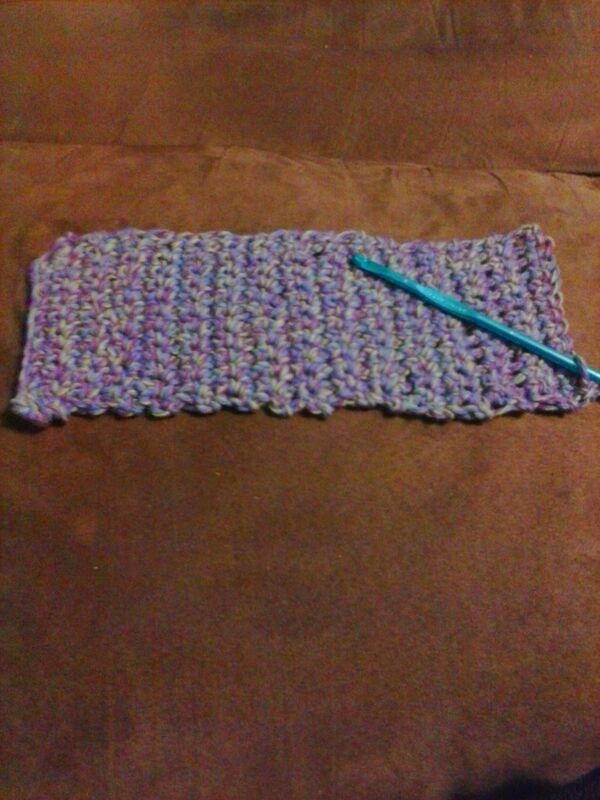 I am truly enjoying crocheting!!! Enjoy the beautiful weekend that is ahead of you!!! 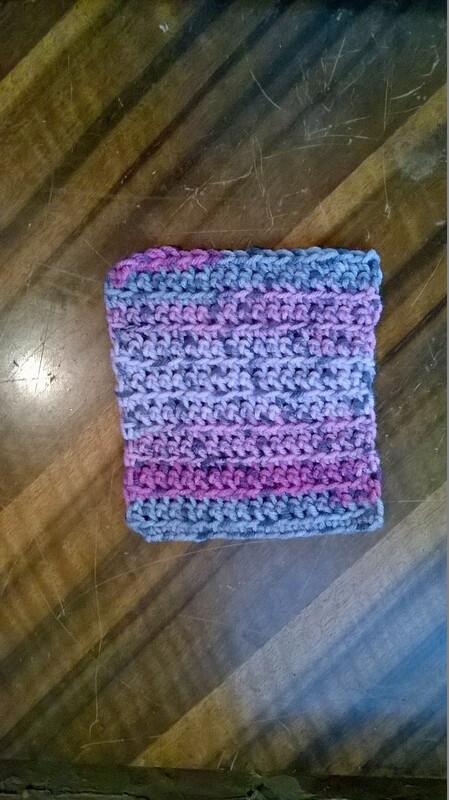 I had decided to make a headband as my first project. 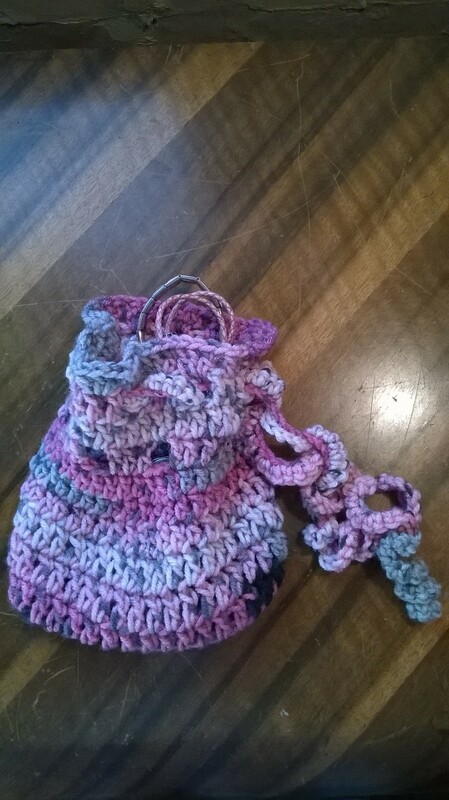 Sounds easy enough right….well I discovered I was using the wrong size hook and misplaced the pattern. I tried on the headband to discover it was too wide for my liking. 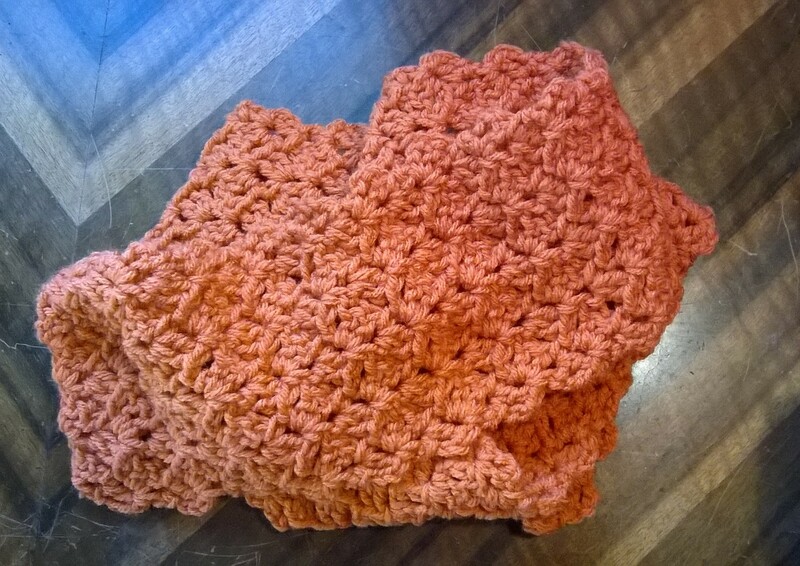 A co worker suggested a scarf. So that is how my headband because a scarf. 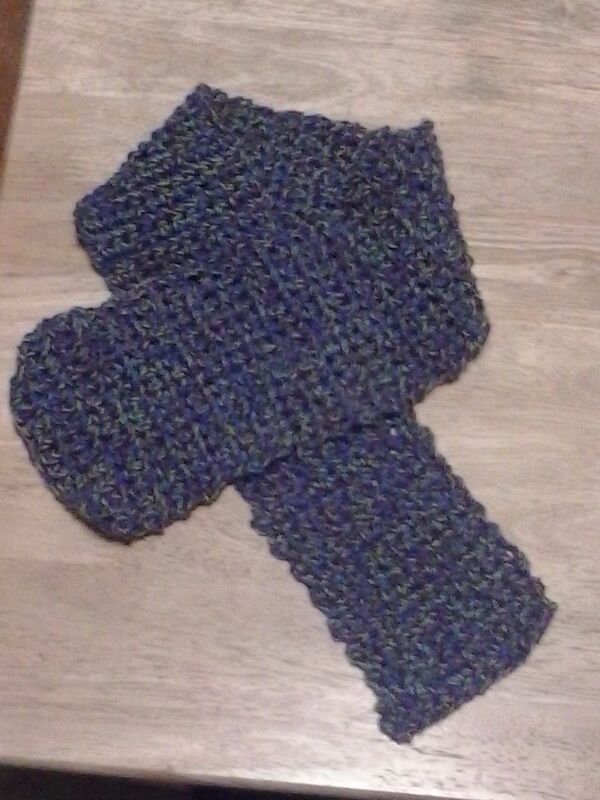 This took 1 skein to complete. I LOVE it wonky parts and all! 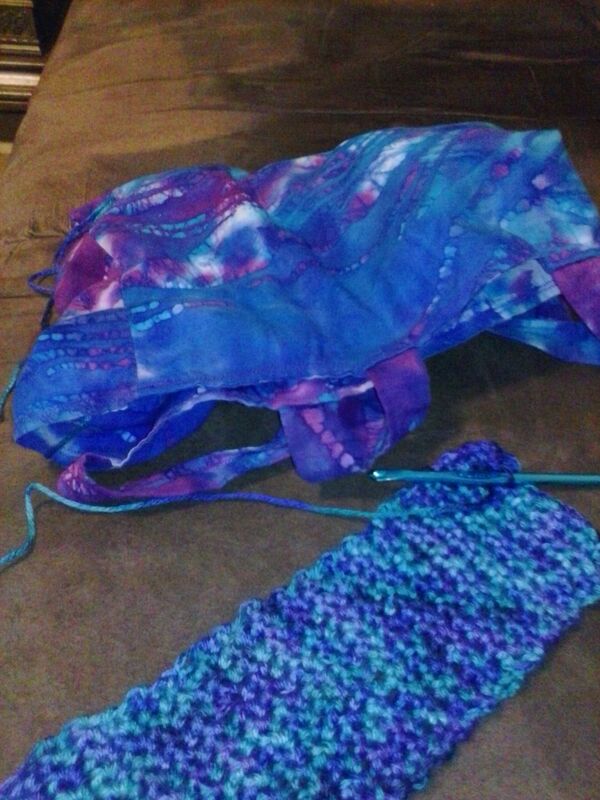 I am still working on the headband I have been wanting to make. I have started and restarted numerous times. 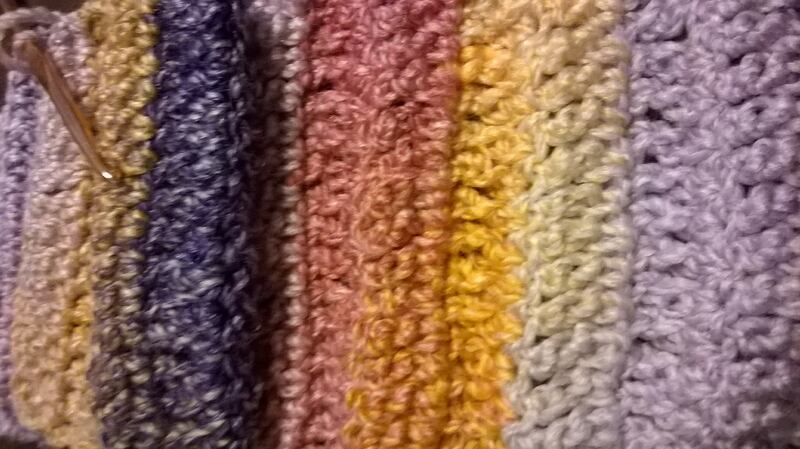 I am happier with the new yarn color I chose. Today I looked at it and am beginning to think it is too wide for a headband. 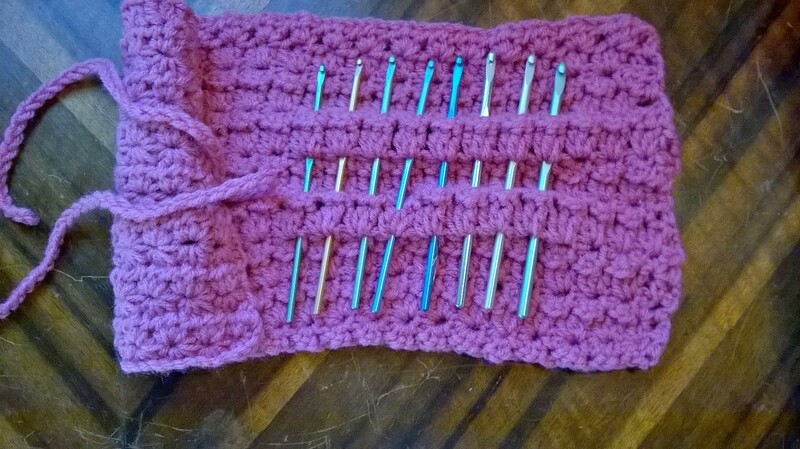 Wondering if I should just makes it into a scarf. So what do you think? Last night I added a new page to my blog. Why don’t you go check it out!